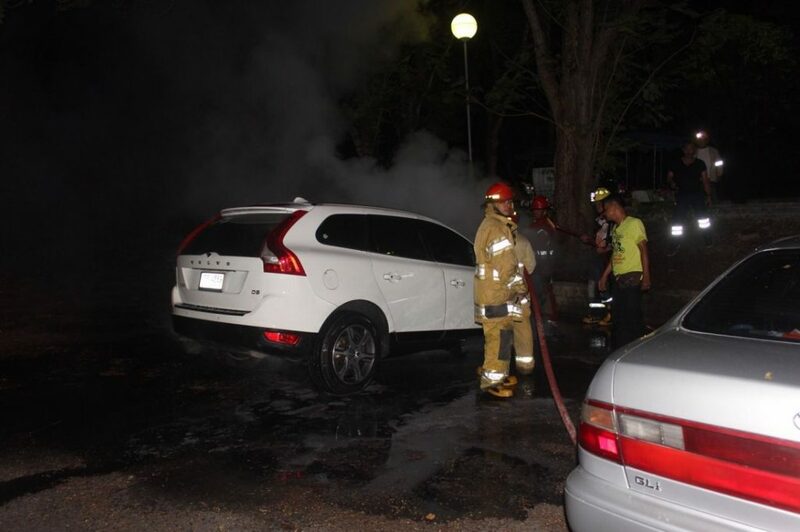 Fire has engulfed a parked Volvo sedan next to a temple in Phuket town. 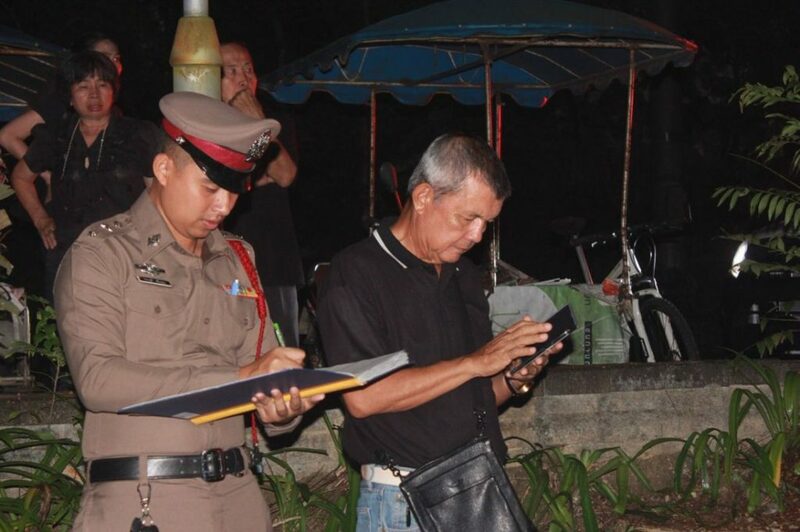 The car’s owner was taking part in a funeral inside the temple last night (Sunday). 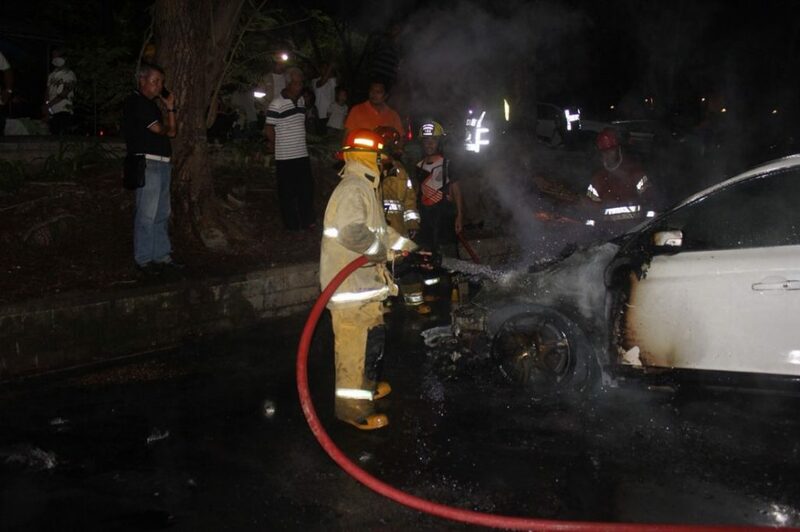 Firefighters were notified of the incident at Wat Kosit Wiharn Temple in Phuket Town at 7.11 pm. Two fire engines headed to the scene along with Phuket City police. 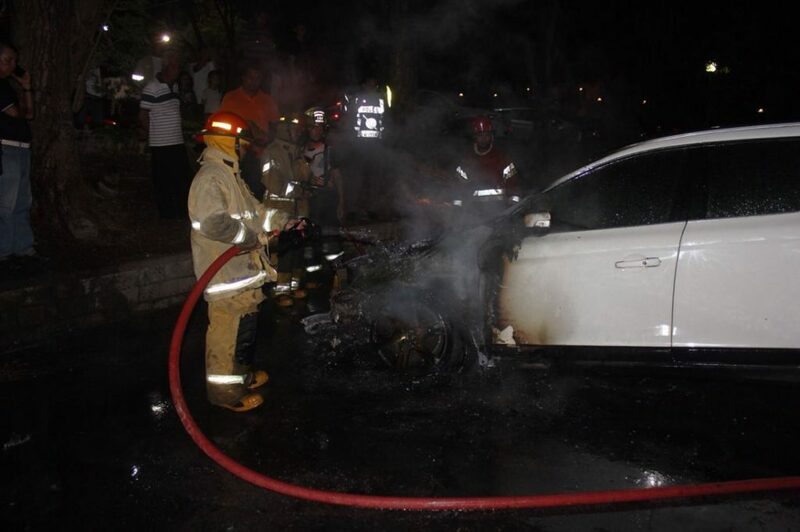 The engine compartment of the white Volvo was well ablaze when they arrived. It took about 20 minutes to get the fire under control. The front part of the car has been almost totally destroyed. 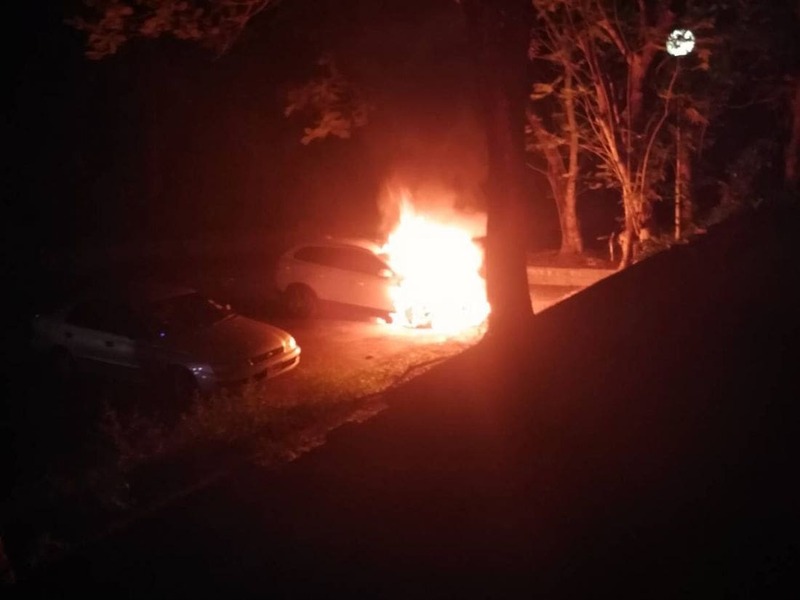 At this stage police believe that the fire could have started from an electric short circuit in the engine compartment of the car. 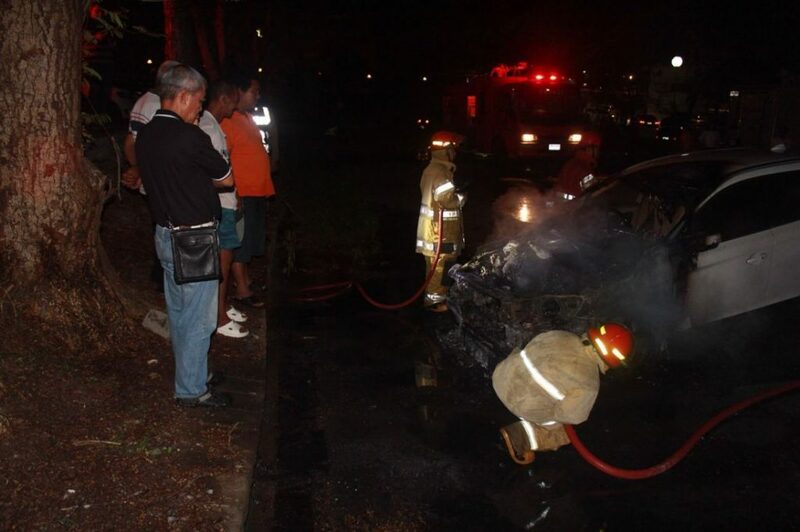 Forensic Police will continue to investigate to discover the cause of the fire. Is ‘cross fit’ still a thing?